The course is available every Friday at 2:00 p.m.
Children must weigh at least 35kg and be at least 1.35 m tall. There is a maximum of 8 people per guide. More guides may be available to accommodate bigger groups. 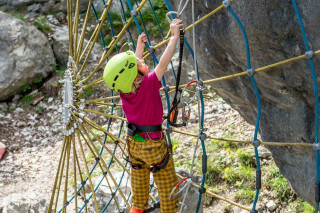 No climbing experience is necessary, but a decent level of fitness is required. What to bring? Athletic shoes and clothing, small backpack for snacks and drinks, and sunscreen. 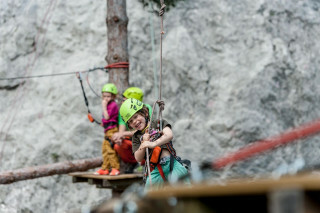 If your normal family vacation could use some thrill, add adrenaline with a climbing adventure. 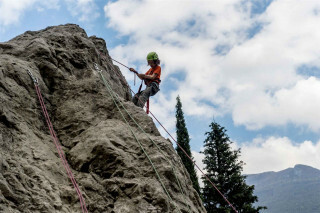 This fun climbing course in Lake Garda’s Arco Valley offers a via ferrata course, top-rope climbing and even a zip line. 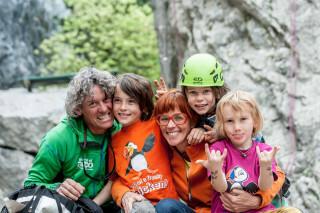 Both kids and parents without climbing experience can join the fun. 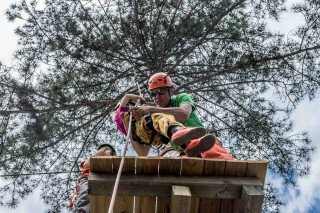 After meeting in Arco, you drive to a private ropes course in the dense forests of the Arco Valley. Your guide provides you with your equipment and safety basics. 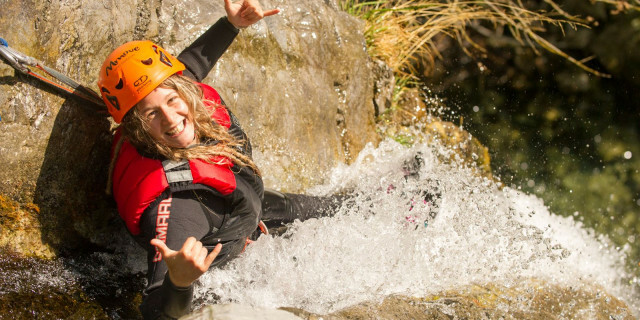 Your guide is also there to ensure you’re secure and having fun. Walk across a suspended tree trunk to test your balance. 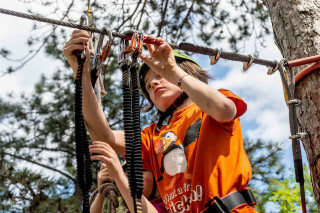 Move across colorful ropes as you travel higher above the ground and travel from tree to tree. The tall rock wall at the course provides an excellent area to try top-rope climbing. 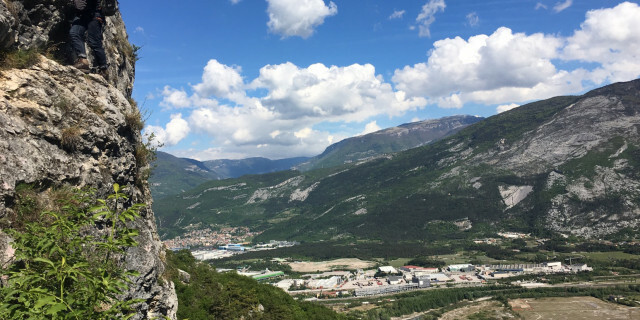 Once at the top, take in the outstanding views from above before you abseil down to the ground. 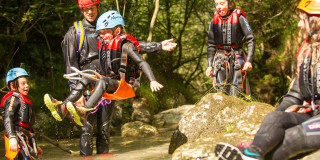 The course welcomes both children and parents, so everyone can enjoy the adventure of the course together. 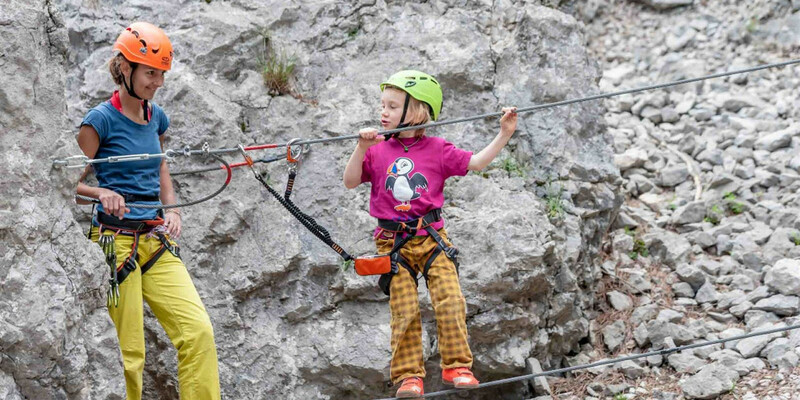 Learn all about Lake Garda’s surrounding nature as your family abseils, climbs, and zips around the dense forests of Arco Valley. This is one trip that will make for a great conversation at the dinner for a long time.